Have you ever wanted to have fun and train your memory? 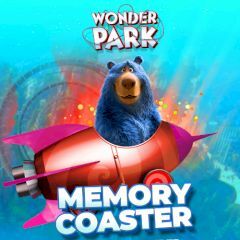 In this game different character pass by on a funny coaster, but the speed is high and you barely see them. Can you recognize them all and click on the pictures? Don't make mistakes and get all three answers! Just watch carefully and pick them up!